Well not too long ago, I decided that 2014 I would take swim lessons because I want to compete in triathlons. Well, I tore my Glenoid Labral and have biceps tendinitis, so that is on hold until next month. But this means I needed to upgrade my current activity tracker (I was using the BodyMedia Fit) and my current GPS watch (NIKE + GPS Sportwatch). While these are great pieces of technologies, they are meant for people who are solely running and I need something more. So I traded them in, and now have a Polar Loop 24 Hour Activity Tracker, and TomTom Multisport GPS Watch with Bluetooth Heart Rate Monitor. Well on my Instagram (Corey26Point2 is my username, feel free to follow me!) I posted my Polar Loop, and since the product is so new, people were asking me about it and my opinion. Well, I have never done this before, but I did my version of a product review, video blog, complete with some pictures. In a few weeks I will do my review of my TomTom Multisport GPS watch! Enjoy! 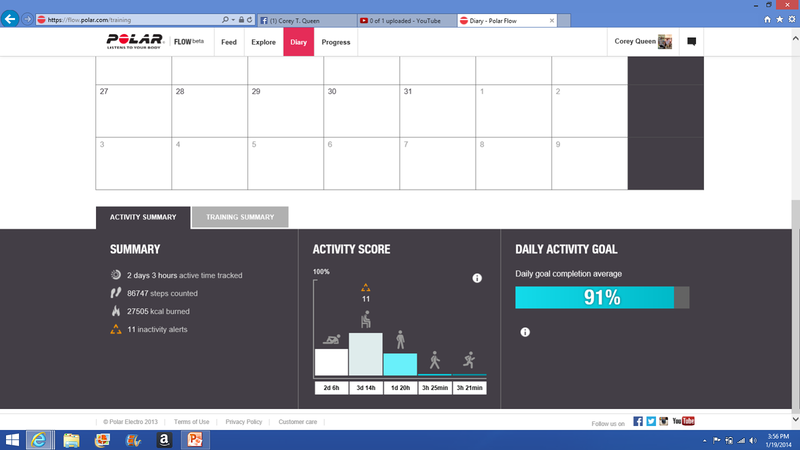 This is what you see when you hit the button to the "ACTV" tab and you have hit your daily activity goal! 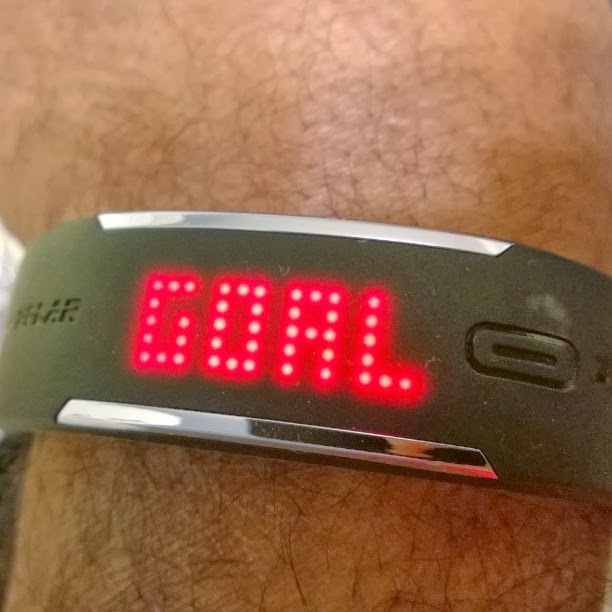 Here is a pic of the goal and how cool it looks on the app after you've hit your goal! Here is one half of the screen on the IOS app (Android version to come March/April 2014). It also tells you how long you've been sleeping, sitting, standing, walking and high intensity moving (not just if you moved and didn't move, like all of the other activity monitors). Here is the app screen when you scroll down and you see even more details of your day and the Polar Loop even gives suggestions on what to do. 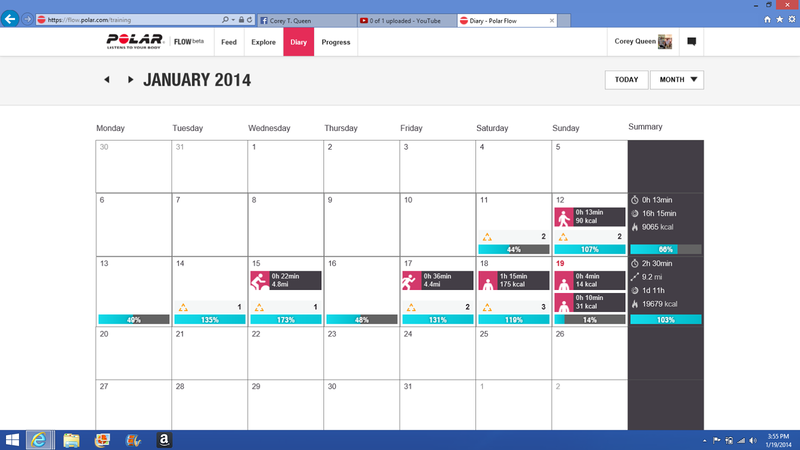 Here is the Polar Personal Trainer website, that anyone that has a Polar Product will have a personal one. It is a nice thing, if you are getting serious about your training for anything. This is the bottom of that screen, where it gives you your weekly summary. 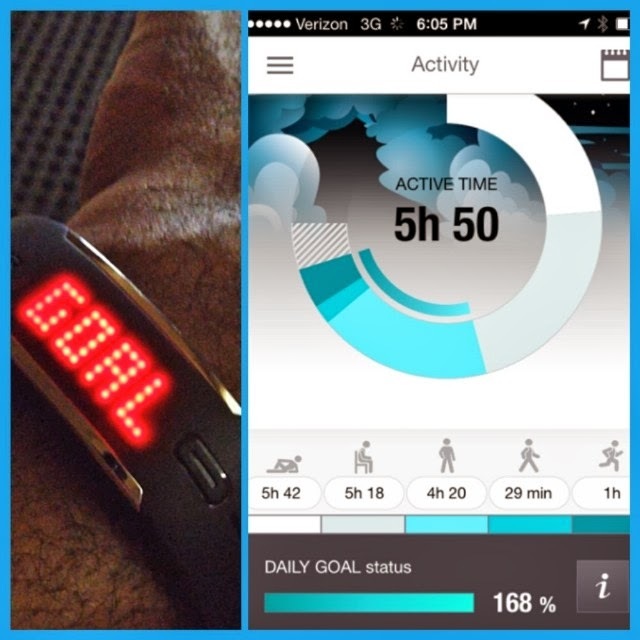 Like I said in the video, Polar Loop is the next evolution of fitness trackers. It is water resistant to 30 meters, tracks more than just if you are moving, and connects to your Bluetooth Heart Rate Monitor to get a better gauge of your non-cardio fitness activities, which no one, not even fitness sites, have seemed to grasp the correct algorithms for. I hope you enjoyed it! -Until the Wheels Fall Off! I really like the idea it tells you when you are sitting... having an office job, I'm shocked when I see how low my steps are in a day because I'm stuck behind a computer most of the day.